Nothing beats a nice evening sitting on a swing, enjoying the cool night air. 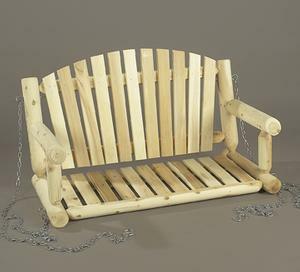 Our Cedar Porch Swing is outdoor porch furniture made from beautiful log cedar. 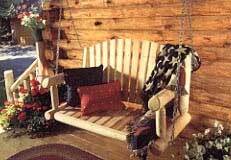 This swing invites a conversation with a friend or a good book to read.